Where could an RCNi Nurse Awards nomination take your project? won the RCNi Commitment to Carers award in 2018, and awards host Kate Garraway. NHS England has just published its Long Term Plan, which in part sets out clear ambitions for how the NHS can improve the health and well-being of unpaid carers. Reflecting on past finalists’ submissions for the Commitment to Carers Award at the annual RCNi Nurse Awards, I feel optimistic about the effect nurses continue to have on the lives of carers. The award is sponsored by NHS England, to recognise nurses who go the extra mile to consider the needs of carers. This will be the fourth year we have sponsored the award, and we have continued to see creativity, innovation and most importantly leadership from the nominees, who have grasped the issues that affect unpaid carers and decided to make a difference. There are around seven million carers in the UK, about 5.5 million of whom are in England – and these figures are expected to increase by 60% by 2030. We know that carers experience poorer health than their non-carer peers. Carers are more likely to develop long-term conditions such as high blood pressure, asthma or musculoskeletal problems. They have a significantly higher incidence of mental health problems and greater social isolation, and are less likely to have thought about how to manage their own care. The most important element of the work put forward in the Commitment to Carers category is that for the most part these are not short-term projects. They have identified new ways of working that enable nurses to collaborate with carers to improve their health and well-being. 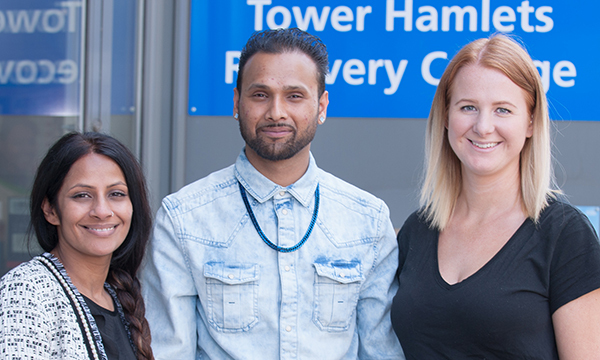 The award winners to date have been diverse – a bereavement nurse working across a group of hospitals and community settings within a coroner’s jurisdiction, an acute trust nurse and a team working in community mental health, whose submission was led by their healthcare assistant. Begum, peer support worker Naz Islam and senior nurse practitioner Hannah Bjorkstrand. Without exception our winners have talked about how changing the culture, rather than securing significant financial support, has been the key to their success. They have found innovative ways to engage with carers, to enable them to talk about the things that matter to them, and to help them realise that investing in their own health and well-being is as important as supporting the person they care for. With the publication of the Long Term Plan there is an increased emphasis on the need to better identify and support unpaid carers. The plan highlights work that is developing in primary care – focusing on vulnerable, often excluded, communities, better contingency planning to avoid carer breakdown and crisis, and improving the experience of young carers. I am so proud to be part of a profession that I know will be fundamental in leading the changes that will make a difference to unpaid carers. One of the best things about being a nurse is seeing just how much we as a profession can do to make a difference, and the brilliant thing is that you don’t have to be the person in charge to be a leader. As a carer myself, looking after my elderly mum and my daughter, who has a complex mental health condition, I know that a good conversation with the nursing teams who care for them has had a huge effect on my own well-being. We know that more people will be taking on caring roles in the future. Indeed, the number of unpaid carers is growing at a faster rate than the population as a whole. It is estimated that the economic value of these carers to our health and care systems is £132 billion a year, so they are a resource we depend on, not just for the time they give in caring but also for their expertise and knowledge about the people they care for. As we approach the final submission date for the 2019 RCNi Nurse Awards, I am excited to find out about nurses’ innovations and their effects on carers’ lives. I know there will be many nurses who think, ‘This is just what I do’, and so won’t have put themselves forward yet. If this is you, think about sharing your work and nominating yourself or your team – there is nothing like a great idea to inspire others to do the same.